You've found the woman of your dreams, now what? It's time to buy an engagement ring! An engagement ring is an important part of the symbol of the love you share. One of the most important things to do is to establish a budget that you are comfortable with. Do have a budget in place before you set out shopping. That way, the jeweler will be able to help you look for rings in your price range. Once you’ve set a budget, make sure to go to a certified jeweler. Uncertified diamonds might save you money but they lack quality and longevity. Another important step after buying the ring is to get it insured. Every woman’s style is different. 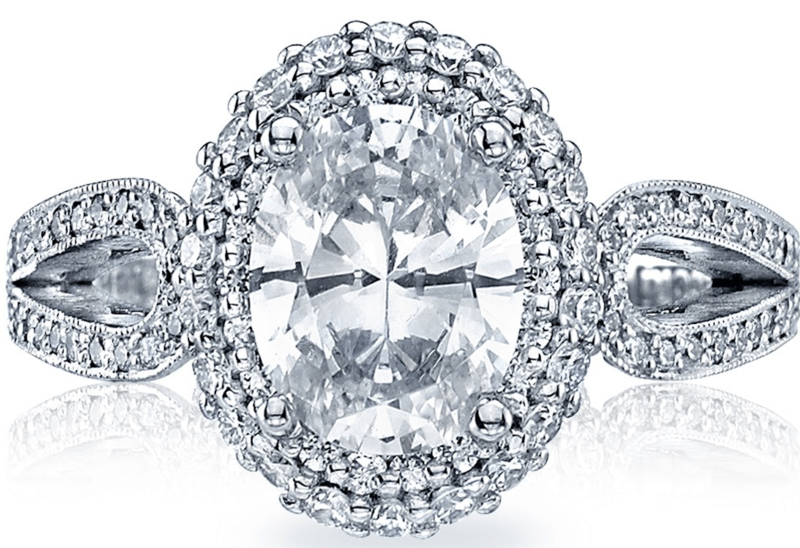 You want to pick a ring that suits your bride-to-be’s style. There are several ways to figure out what your partner likes and dislikes. First, ask yourself some questions. What kind of jewelry does she wear? Does she wear a lot of gold or silver? Thanks to Pinterest, many women have boards on dream weddings that you can look up. See if she has any ideas for rings saved there. Also, a key component is to recruit her family and friends, they will have a better idea of what she wants. One idea is to have her friend take her shopping and “happen” to pop into a jewelry store. Chances are she will look at rings and mention what she likes. One of the best ways to get your partner’s ring size is to secretly take a ring they commonly wear and get it sized. 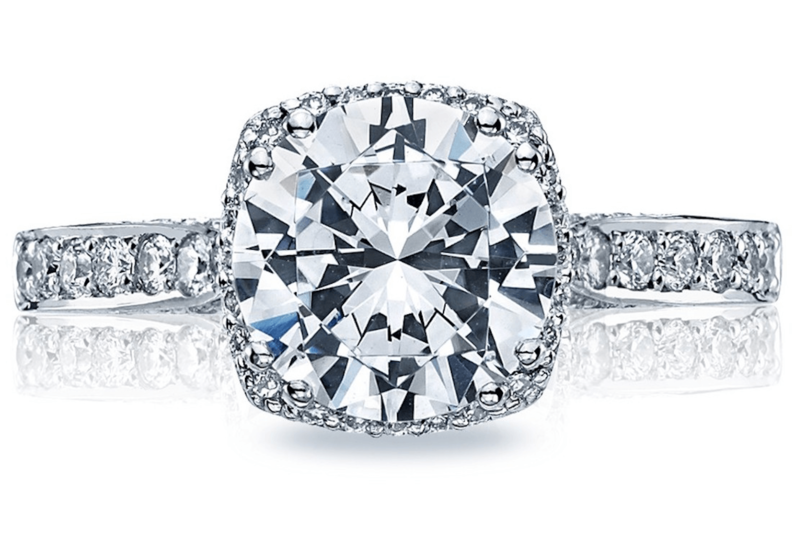 If your only option is to guess, always overestimate because sizing a ring down is less expensive than going up a size. Ask around – her friends or family might be in a position to help out on this special task. Two things you should focus on are the diamond itself and the setting that you want. There are so many different diamond shapes to choose from. For example, you can choose from round, oval, princess, marquise, pear-shape, cushion, emerald and heart shaped rings. Different settings include tiffany, channel, pave, eternity band and bezel. Ask your jeweler to show you the different shapes and settings. Once you know what shape and setting you are interested in, you will be able to narrow down your options and focus on the four Cs of a diamond. 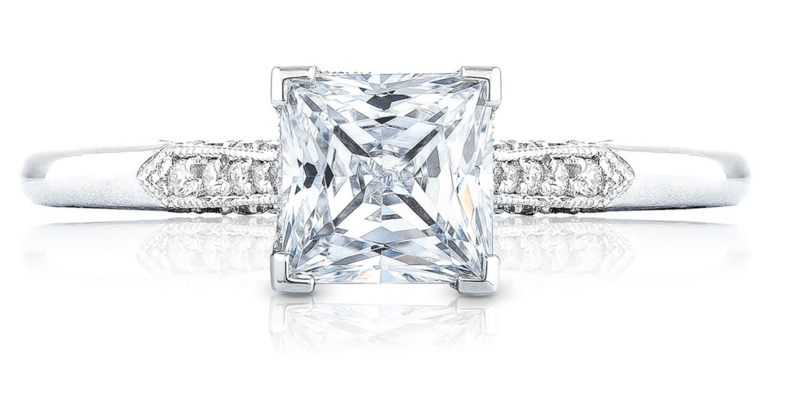 Cut: The cut of a diamond is one of the most important characteristics. It determines the diamond’s sparkle and brilliance. The cut of a diamond is measured by its light performance. Color: Color refers to the diamond’s lack of color, which is measured by a grade chart of D to Z. D being colorless and Z being a light yellow. 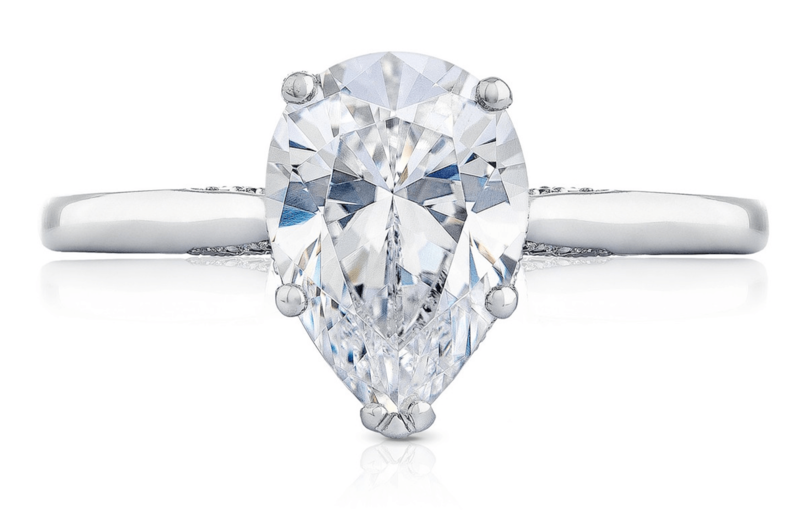 Colorless diamonds are higher priced. Clarity: Based on the presence and absence of inclusions within a diamond. Inclusions are like tiny marks on a diamond that are visible under magnification. Lesser inclusions, more expensive. Carat: The weight of a diamond. The higher carat weight you have, the more expensive the diamond. With these five steps, you will be able to purchase the perfect ring for your partner. Now there’s only one important thing left. Time to propose!